The Podia coffee table in ash veneer and MDF from ferm Living is an oval table in robust style that is a stylish basis in the living room. Placed in front of the sofa on the table magazines, books, decoration, vases, reading glasses and much more will find a nice place while under the tabletop there is a spacious storage room. All you have to do is move the table top, which is simply placed on the base. The remote control and much more can be discreetly stored there. 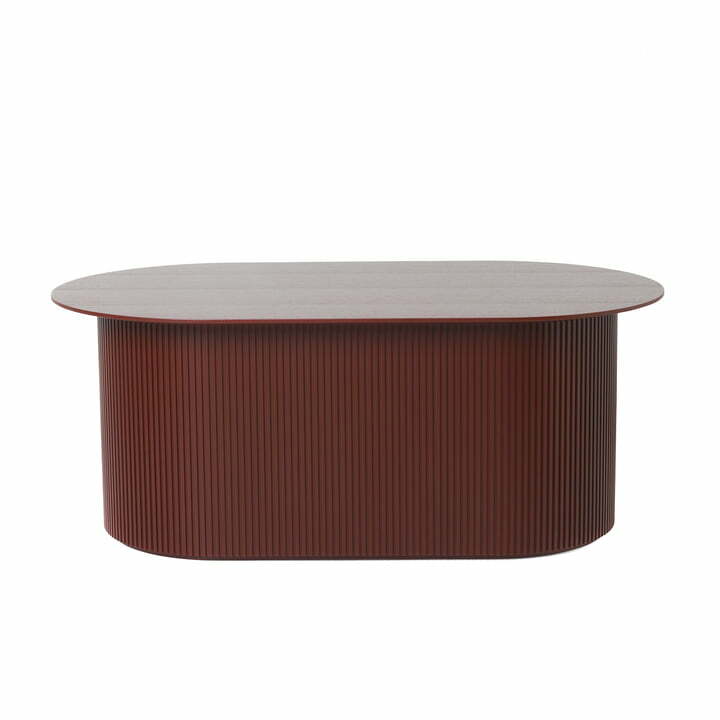 The oval table with a length of 95 cm is made of ash veneer and MDF. The sides are provided with slats which underline the graphic expression of the practical table. 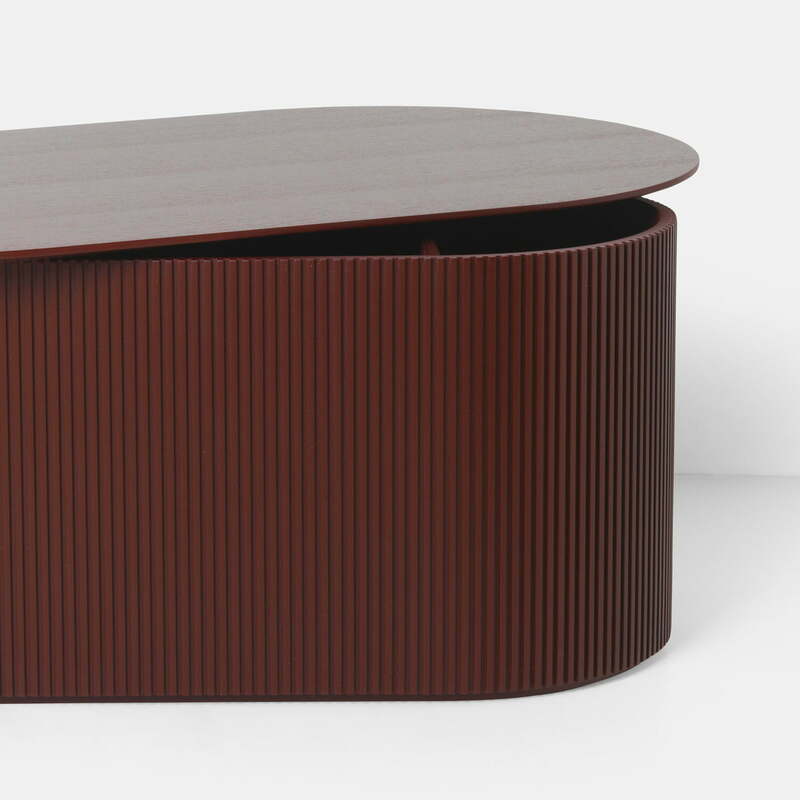 Available in various finishes, the coffee table adapts perfectly to every taste and ambience and thus becomes the central point in the living room. Placed in front of the sofa on the table magazines, books, decoration, vases, reading glasses and much more will find a nice place while under the tabletop there is a spacious storage room. 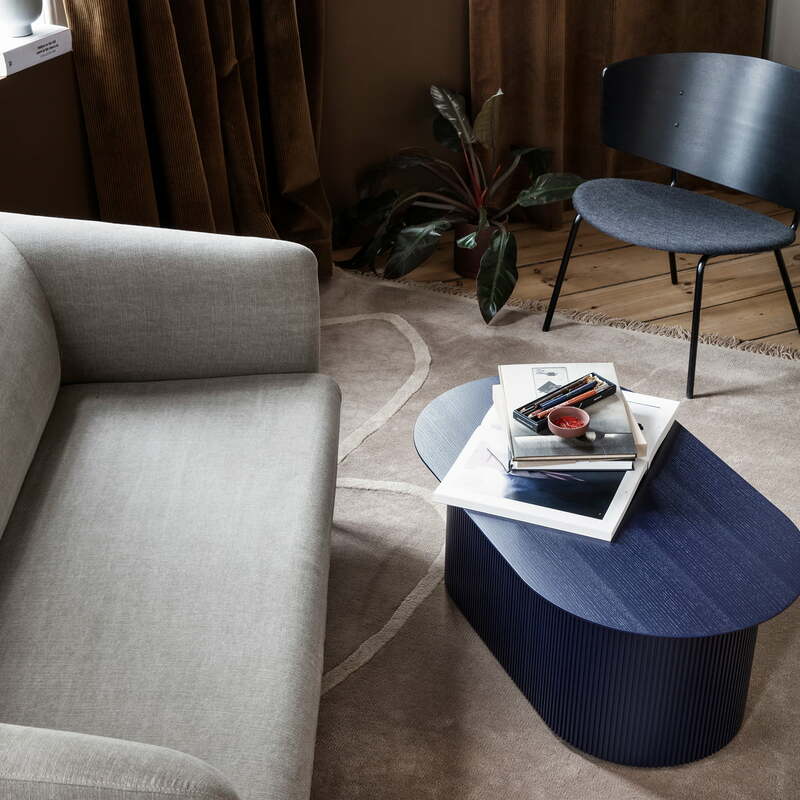 Podia Coffee Table by ferm Living The Podia coffee table in ash veneer and MDF from ferm Living is an oval table in robust style that is a stylish basis in the living room.